Autism Spectrum Disorder (ASD) is a complex neurobiological disorder known simply as autism. Specifically, it is a variable developmental disorder characterized by severe deficits in social interaction and communication, and by abnormal behavior patterns (i.e. repetition of specific movements or a tendency to focus on certain objects). 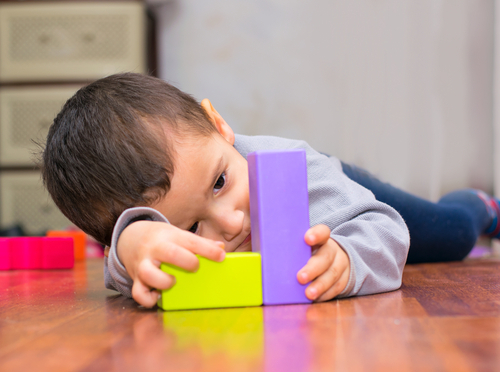 While autism is evident in the first few years of a child’s life, symptoms can range from very mild to quite severe and the cause is still unknown. 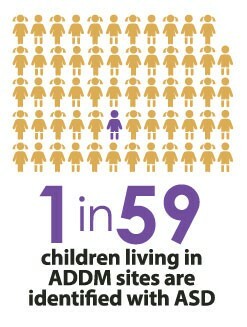 We at ACN think all children with autism have special abilities and we want to help maximize their potential! For more in-depth information about autism spectrum disorder and how to maximize the potential of children with autism, check out our Family Empowerment Classes. It is important to note there is no single test for autism. An autism diagnosis is based on clinical observations and testing using one or more standardized tests. Some of the screenings and tests which may be used in the diagnostic process are: CARS (Childhood Autism Rating Scale), Autism Diagnostic Checklist Form E-2, CHAT (Checklist for Autism in Toddlers), M-CHAT (Modified Checklist for Autism in Toddlers), Pervasive Developmental Screening Test -2, ADOS (Autism Diagnostic Observation Scale), and ADI-R (Autism Diagnostic Interview-Revised). In addition, parental interview and medical history are taken into consideration. The professionals most likely to diagnose autism are psychologists, psychiatrists, developmental pediatricians, and speech-language pathologists. For more information on our interdisciplinary diagnostic process, click here. While only a trained professional can give a proper diagnosis if your child has autism, there are a few signs that you and your pediatrician should watch for that might warrant further investigation. When observing your child, ask yourself: Does your child look at you when s/he wants to show you something? Does s/he look when you point to something? Does your child use imagination and pretend play? A lack of these three behaviors may also warrant further investigation and an evaluation by a qualified autism provider. While there is no known cure for autism, there are treatment and education approaches that may reduce some of the challenges associated with the condition. Treatments for autism or interventions—especially early in a child’s life—may help lessen disruptive behaviors and education can teach self-help skills that allow for greater independence. But, just as there is no one symptom or behavior that identifies all individuals with ASD, there is no single treatment that will be effective for everyone on the spectrum. Depending on your child’s needs, he or she may benefit from speech therapy, occupational therapy, sensory integration therapy, or applied behavior analysis. Most professionals do agree that early intervention is important and that most individuals with autism respond well to highly structured, specialized programs. An effective treatment program for a child or adult with autism will build on their interests, offer a predictable schedule, teach tasks as a series of simple steps, actively engage attention in highly structured activities, and provide regular reinforcement of behavior. Parental involvement has also emerged as a major factor in treatment success. To help maximize the potential of your child with autism or other related disabilities, Autism Community Network offers Hands-on Training for parents or caregivers and their child to supplement therapy.